Not all students get everything at the same time and at the same pace–common sense right? Well, we built our website with that in mind. 4 Versions of an Assignment, 1 learning Goal…which is to write a loop based on a single condition. With Penjee, students have multiple opportunities to achieve a learning goal . We call this — adaptive assignments. 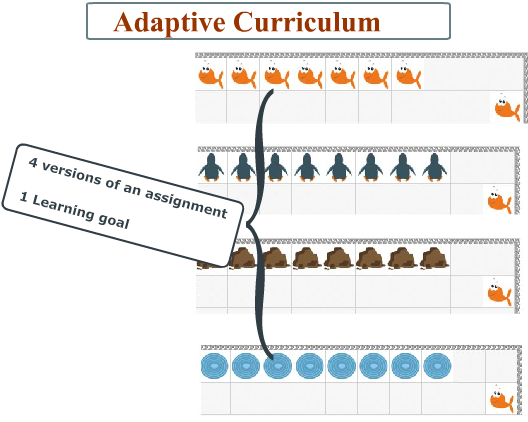 So, what the heck is an “adaptive assignment”? Well, it’s an assignment that has multiple versions. Each version has the same learning goal, and a student only needs to solve one of the versions. A student is greeted with a programming challenge, like the image below. 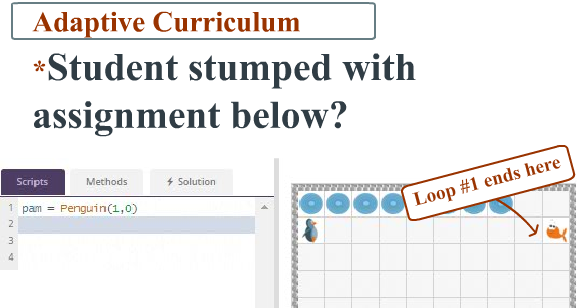 Now, if the student gets stumped and can’t get figure it out, they can hit the “solution” button. And VOLLAH..the student gets to see the solution code! 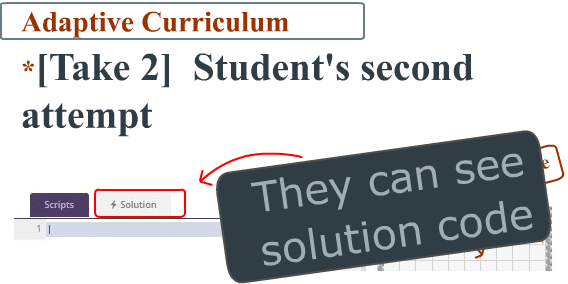 However, the student didn’t get off the hook by simply clicking on that “solution” button. No, now, they must try a similar challenge–hopefully, having learned from the example Python code that they saw. This will allow kids multiple opportunities to achieve the learning goal and the ability to learn from sample code. Many of our lessons are adaptive and we’re adding more and more all the time! Below is an animation of how the adaptive assignments work.